The long-anticipated building addition and renovation started in mid-May, as the contractor broke ground on the site after finals week and graduation. There was a lot of work - and noise - over the summer, as the excavators rolled, foundations were poured, and new spaces took shape. The building project includes two new classrooms and a beautiful accessible front entrance, and we are repurposing the current space to create two additional restrooms, welcoming pre-function space for the classrooms, and nicer common area. Perhaps the most significant change to the exterior of the building is the addition of the Soderstrom Plaza on the north side of the building. It is about halfway to completion, with much of the hardscape already completed as we wait to remove the old north entrance to the building and finish the space. The new space will feature a statue of Reuben Soderstrom, 40-time president of the AFL-CIO, who was instrumental in lobbying the state legislature for the creation of and funding for the then-Institute. The plaza will be completed with landscaping and tables next spring. The classroom space and entry are quickly going up, and will soon be enclosed for the winter. The interior work will continue until after the first of the year. Window replacement throughout the building and a new HVAC system will cap off the project, which will be completed in spring. The generosity of our alumni and corporate partners has helped us secure nearly $1.5M in pledges for named spaces throughout the building, and these gifts continue to come in as alumni see the progress and get excited about being involved in the project. These named spaces include Soderstrom Plaza, a new classroom, several common spaces, 12 named offices, and two dozen donor wall gifts. We also are proud to announce that the paver campaign resulted in 145 new engraved pavers for nearly $80,000. These will be placed in the new plaza along with 112 pavers from the original entry, which will be re-engraved to preserve their legacy. 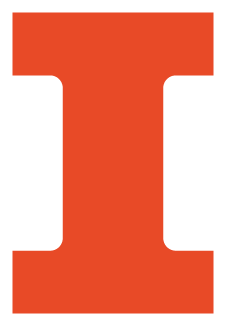 You are welcome to still get involved with the project by visiting https://ler.illinois.edu/alumni/give/. Don't forget that your corporate match makes named gifts easily attainable, and you have five years to pay your pledge. You can leave a legacy at LER for all of the students who follow. Watch our site and social media for continued updates and photos!